Lucerne University of Applied Sciences and Arts (LUASA) consists of five Schools: Engineering and Architecture, Business, Social Work, Art and Design and Music. Lucerne School of Engineering and Architecture offers a wide array of courses in the fields of architecture, civil and structural engineering, building technology engineering, electrical engineering, computer sciences, mechanical engineering, and business administration and engineering. It focuses on increasing interdisciplinary research and tuition in the high impact signature area “Buildings as Systems”. Lucerne School of Engineering and Architecture is the only school of architecture in central Switzerland. The campus is situated in Horw on Lake Lucerne, right next to the city of Lucerne, a centre of arts and culture. The school is at the foot of Pilatus and in sight of Rigi, the first two peaks on the edge of the unique world of the Swiss Alps. With more than 1500 students and more than 200 lectures, the School of Engineering and Architecture at Lucerne University of Applied Sciences and Arts in one of the most renowned institutions of its kind in Switzerland. 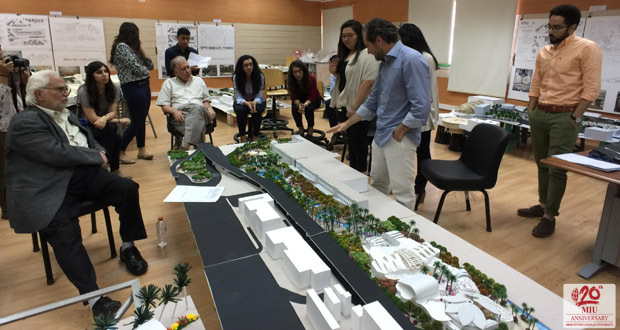 Culturally a building school, it brings together professionals from all planning disciplines for buildings, i.e. architects, structural engineers, building technicians and façade planners, and enables them to form interdisciplinary networks. Architecture students who successfully complete any academic activity jointly supervised by MIU Faculty of Engineering, Architecture Department and LUASA School of Engineering and Architecture, receive a certificate of collaboration signed by the Deans of the two schools. 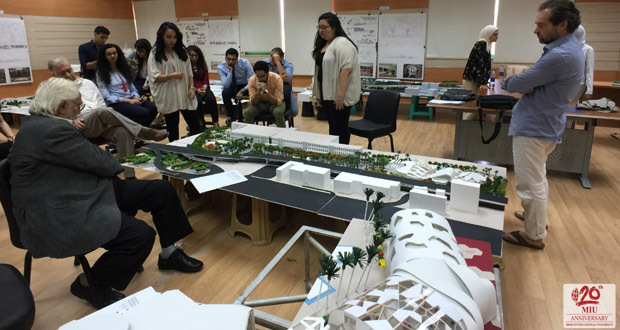 A program offered to Architecture students.